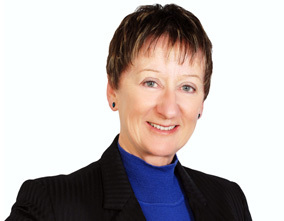 Gai is a leading international coach specialising in leadership and executive coaching with senior managers, business owners, professionals and entrepreneurs in NZ, Australia, Asia, UK, Canada and the US. Gai is specifically adept at remotely coaching clients in many different countries as well as her home country of New Zealand. With 20+ years in senior management within financial services, sales and change management, Gai’s experience gives her a unique view point that is invaluable in executive and leadership coaching. Furthermore, Gai’s passion for coaching is evident in not only her style of coaching but in the number top level coaching qualifications she has achieved. Gai is a Results Certified Coach accredited by Results Coaching Systems (RCS) a leading global coach training organisation. They are an international, New York-based coach training organisation with over 2,000 trained and accredited coaches worldwide. Gai has been an RCS coach trainer, assessor and mentor. RCS is part of the Neuro Leadership Group. The NeuroLeadership Group is a global human performance consultancy, drawing from the latest findings in neuroscience. The NeuroLeadership Group has operations in 39 cities over 24 countries. Gai is Certified NLP (Neuro Linguistic Programming) trained by Dr Richard Bolstad from Transformations International Consulting & Training Ltd, Christchurch , New Zealand. Gai is also an Enhanced Skills Practitioner in Conversational Intelligence. Put Gai’s vast and diverse coaching experience to work for you. As with high performing atheletes the quality of coaching makes a difference. Gai’s business knowledge and experience gives her an insight into the intricacies of complex business relationships and dealings. Most of Gai’s international clients are amazed at how affordable coaching of this calibre can be because of the favorable exchange rate. "“I am a better leader today because of the coaching I receive from Gai” I began working with Gai when I first moved into a senior leadership position, a move that challenged my confidence, values and self-belief…and my ability to manage my workload! Thanks... "